Do you know why booking from the website is always advantageous? When are going to arrive? Welcome to Hotel Pierre, your city-center hotel surrounded by greenery. Close your eyes and imagine the feeling of quiet and relaxation of a pine forest. Breathe the unmistakable scent of sea air on a summer day. Now imagine you are 500 meters from the center of one of Italy's most fashionable destinations. You will find all this at Hotel Pierre, an oasis of peace in the heart of Riccione. The location is truly unique. The walk of only 200 meters along the tree-lined avenues is a pleasant morning ritual to reach the beach on the postcard picture seafront. Families choose our 3-star hotel in Riccione for its spacious and bright rooms, the large garden and the special attention we reserve for our little guests. Couples love the elegant atmosphere of this green corner surrounded by timeless villas. Nobody can resist the temptation of spending an evening shopping in the stores of the legendary Viale Ceccarini, 600 meters away from the hotel. But it is also the Green Pearl of the Adriatic Sea because of its endless tree-lined avenues. These two souls are perfectly blended in Hotel Pierre. A few steps from the center but surrounded by centuries-old maritime pines in the most elegant district of the city. Nobody has ever known what the other three are." At Hotel Pierre cooking is the thing we most care about. Every day you can choose between meat dishes and fresh fish on our buffet with front cooking as in international resorts. Breakfast is the flagship of our service with a variety of sweet and savory foods to make hotels of higher categories envious. Beach 3 minutes away, spa center 10 minutes away. We are at a crossroads: it’s up to you to decide whether to go in one direction or the other. Whatever you pick, wellbeing is guaranteed! We have 2 play areas where children can play freely without disturbing their parents’ rest. Spaces are well separated: to each his own. fresh fish, genuine meat and excellent vegetarian specialties. Enjoy! A little corner of paradise in the green heart of Riccione. perfect in the evening, to close it even better. Relax! to their joy and that of their owners. Give me your paw! 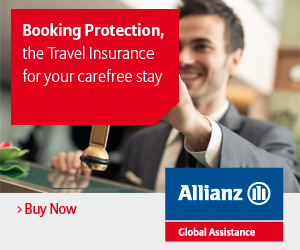 Book without any worries with Booking Protection! In return we give you a fantastic Guide for your vacation on the Riviera Romagnola. and many other attractions to be discovered!